I could use 101 cliches in my response to that question and if it was simply smalltalk with a stranger I often did. I’d describe it as “a beautiful adventure”, explain how we had hard days and great days and that you can’t pick when it’s going to rain on you. I’d say how it ended up being work and far from a vacation but when looking back through the rosy lens of success those tribulations seem so miniscule. I’d give the answer that about 750 other thru hikers used when summing it up by saying “I’m glad I did it, but I’m also glad it’s over”. But, what did I actually think looking back? How can I summarize five months of emotions and memories into a 2,000 word essay? I’m glad it’s over but am I actually glad that I did it? Did the trail have a positive effect of on me or did I just spend five months to take a ballpoint pen and make a line through #9 on my Bucket List that’s tacked to the wall in my office? 12 months ago I was a Captain in the US Army, who am I now? 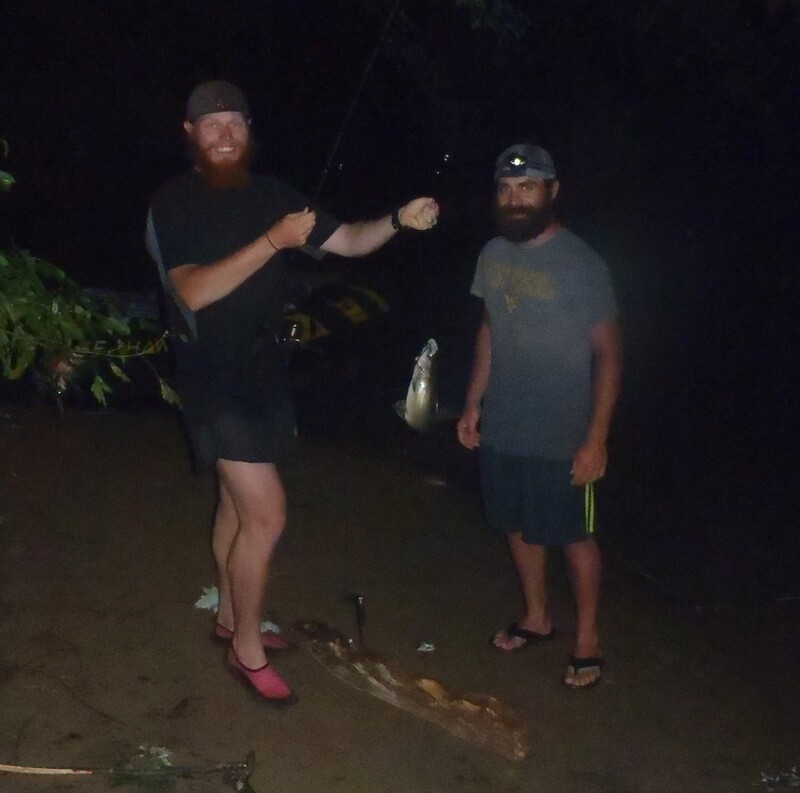 The Ginger Fat Kid (Clay) and Bullfrog do some late night catfishing. To try and answer those questions in text would take two million words, not two thousand, which is why I’ve decided to write a book in the next couple months. But I can say that the hike and the experience was not what I expected, not in the slightest. 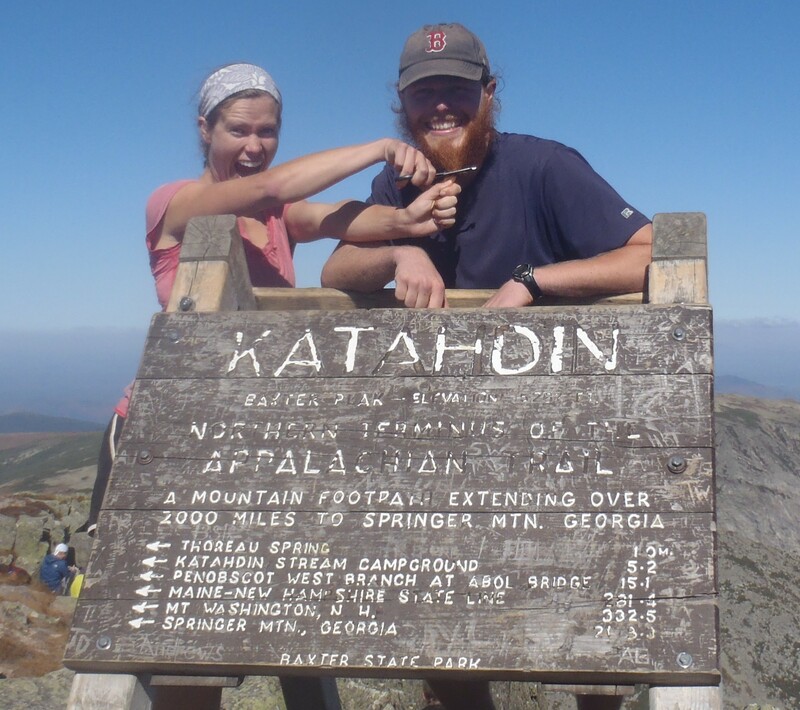 Like most aspiring thru-hikers, Lindasy and I read a smattering of books on the topic in the year before our hike. These piqued our interest and hardened our resolve to start walking north from Springer Mountain, but also subconsciously sewed the seed of expectation in our minds. Coincidentally, the books we read were written at least ten years ago and the experience of others built an expectation for our hike. 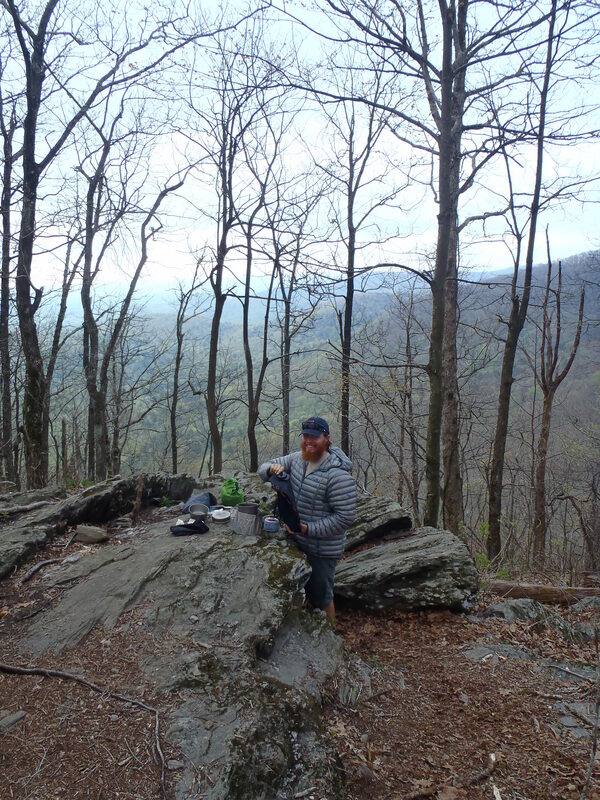 We had a different experience for several reasons but mainly the increase of technology on the trail and the improved accessability and ease of hiking the AT. While hiking I often wished that I was hiking twenty years prior and looking back, that is one sentiment that hasn’t changed. 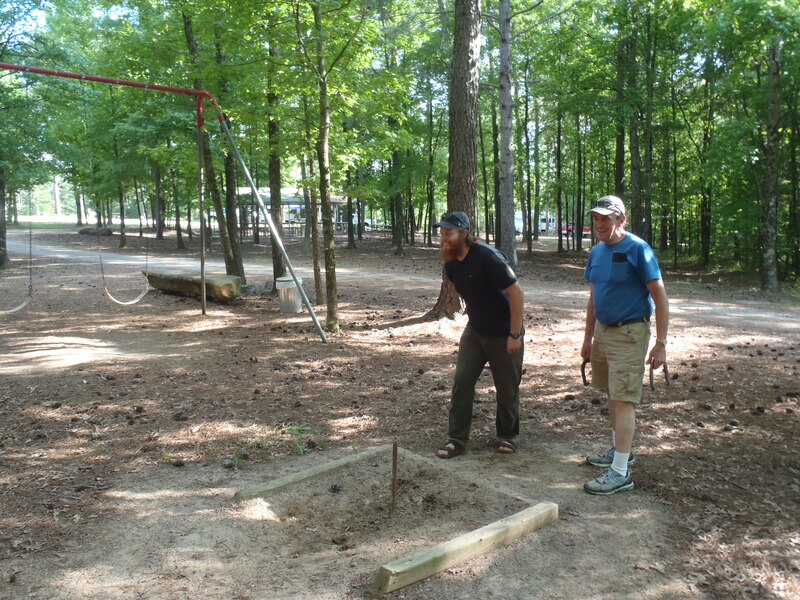 Clay and his dad playing horseshoes and a NC campground during Lindsay’s tailbone recovery time. Working my way through the 1/2 Gallon Challenge. 1/2 Gallon of Ice Cream at 1/2 Way! And I will say that it was the hardest thing that Lindsay and I have ever done as a couple. 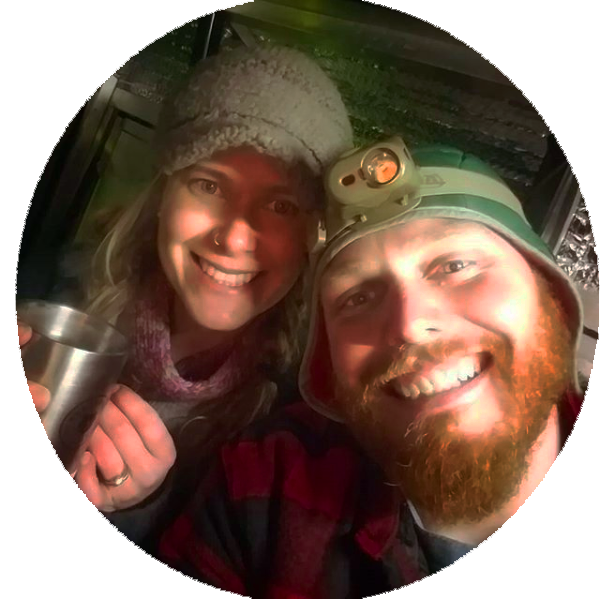 Hiking the AT put a long distance relationship (our first 3 years), moving in together to a foreign place (Alaska), multiple cross country road trips, living in a ’94 Subaru Wagon for a few months (New Zealand) and that pesky 11 month deployment to Afghanistan to shame. I think we are better for it… we went for a hike with Hunter yesterday and still live together so I guess it can’t be that bad. 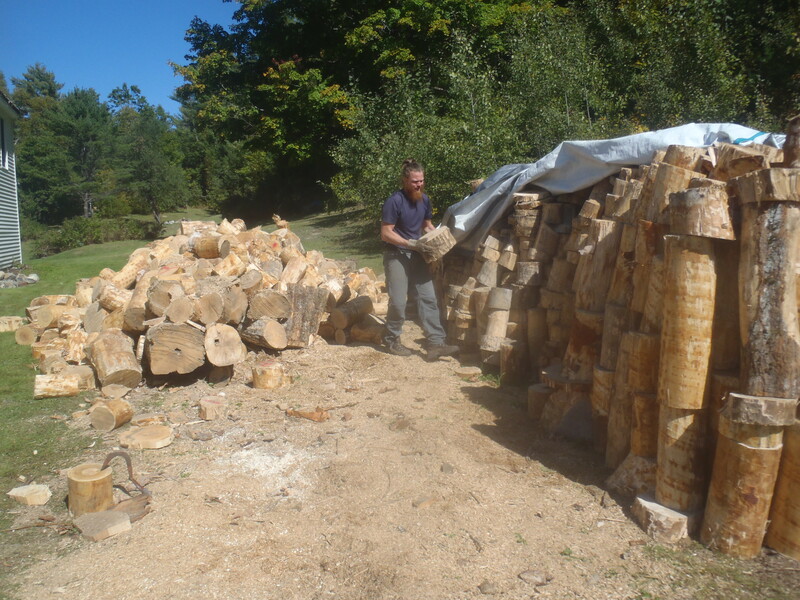 Clay stacking wood while Lindsay took photos while pretending to be sick… good thing SOMEONE was working for stay! 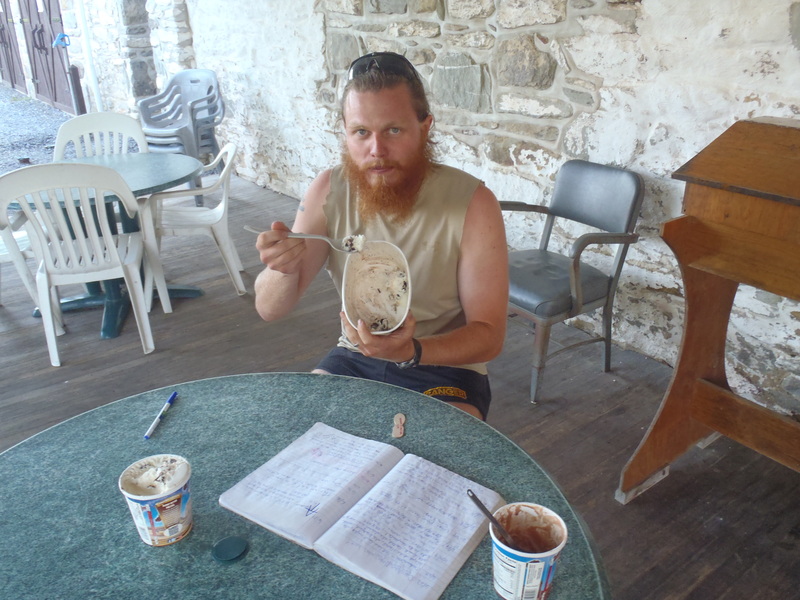 I wish I had some profound life changing epiphany to write about in my thru hike conclusion. I never had a light bulb go off telling me to go work with orphans in Taiwan or protect elephants in Kenya. I just walked through the woods for 156 days and if the biggest personality change is that I like peeing outside because it doesn’t waste water I’ll just have to accept it and move on to the next adventure. I think as time goes by your thoughts will evolve and change. Reflections on your trek, both immediately after finishing and from a more distant lens, will all be equally valid. My guess is that some of the most valuable “lessons” from the trail will come as you undertake future challenges. It is a shame that technology has changed the trail experience so much. I used to hike it (in sections–not the whole thing) in the 1970s, and it was a submersion into a wilder world then. If you want a wilderness experience now, there’s always the Brooks Range! The picture of you carrying your prince(ss) Hunter across the stream is my favorite.